The spring advancement cycles will be the first to use the Reporting Senior Cumulative Average (RSCA) Performance Mark Average (PMA) in the E6 Final Multiple Score (FMS). 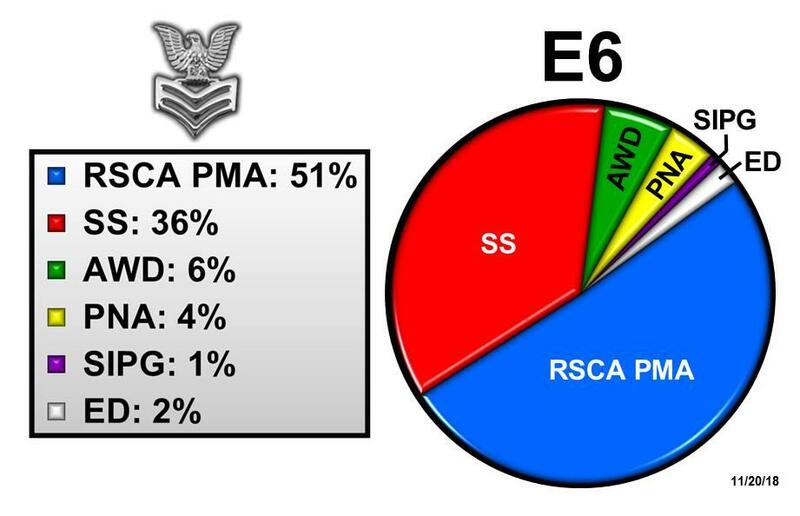 Commands will calculate RSCA PMA for current E5s eligible to advance to E6 in Reserve Cycle 104 and Active Duty Cycle 243. The recent changes to the E6 FMS retain the performance element as the most heavily weighted factor for advancement. Refer to NAVADMIN 312/18 for more information.